Getting to and from the airport need not be the most stressful, least glamorous part of a vacation. Luxury Gold’s brand-new, door-to-door private airport transfer service provides a smooth, seamless start and end to every journey, elegantly bookending what’s sure to be an exceptional trip. Instead of wrestling with glitchy rideshare apps, surge pricing and cars of dubious quality – or worse, gridlock and iffy airport parking – glide back into the golden age of travel in luxurious comfort in a sparkling black sedan driven by an experienced, courteous professional driver, and enjoy an uninterrupted, hassle-free start and end to your journey. 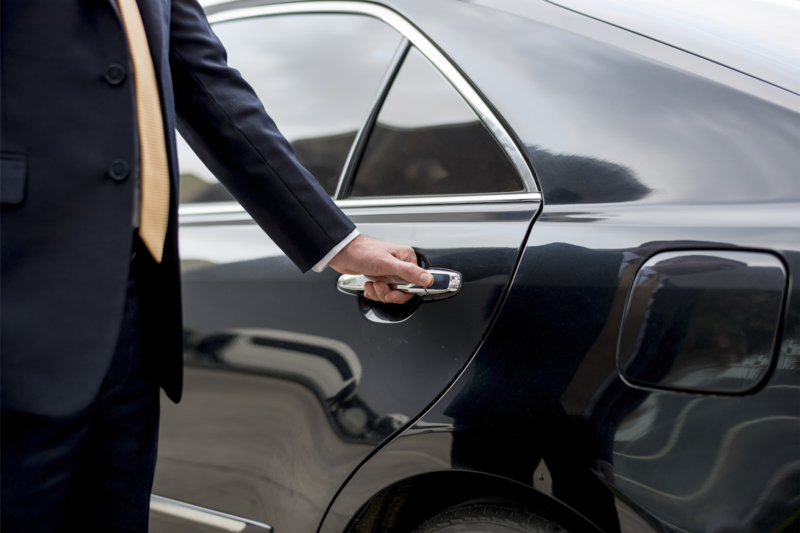 At the beginning of your trip, a smartly dressed chauffeur meets you at your front door, collects your bags and whisks you away to the airport in a stylishly appointed executive car. As the plane touches down in your vacation destination – say, Italy – you enter the arrivals hall and say bongiorno to your chauffeur, who takes your bags and drives you to your hotel. At the end of your vacation, bid arrivederci to Italia as your driver collects you from the hotel and transports you to your departure airport. When you arrive back home, your waiting driver greets you in the arrivals hall, helps you with your luggage, and drives you back to your front door as you think back fondly on your experiences in Italy. Guests traveling with Luxury Gold to Europe, Africa, Asia and India can enjoy the new VIP transfer service as long as they live within 50 miles of a qualifying international airport in the USA. Guests who live a bit farther or decide to make their own way to the airport will receive a credit towards their booking. This service is offered through Luxury Gold’s partnership with Tristar Worldwide, one of the world’s leading ground transport providers. For more information about Luxury Gold Journeys, contact your favorite travel agent, call (888) 862-5952, or visit http://www.luxurygoldvacations.com.